Pete Milano has been playing Bluegrass music most of his life. His uncles had a band in northern New Jersey and would meet on a regular basis at Pete's parents house to practice. As a teenager Pete played lead, rythmn and electric bass in rock and roll bands. Following the rock and roll era he joined a country western band playing electric bass. It was during this time that Pete acquainted with quite a few bluegrass musicians from New York and Northern New Jersey. He traveled to many of the festivals and shows that the bluegrasser's attended and occassionally performed at too. One informal group that he became acquainted with included Dave Freeman (of Rebel Records), on Mandolin and singing baritone. When an opportunity to play bluegrass came along Pete joined the group Eddie and the Mueller brothers from western N.J., playing bass fiddle and mandolin. To further pursue playing bluegrass music Pete moved to northern Virginia where he joined the group "The Hobbs Sisters and Bob Goff Jr.", playing mandolin. 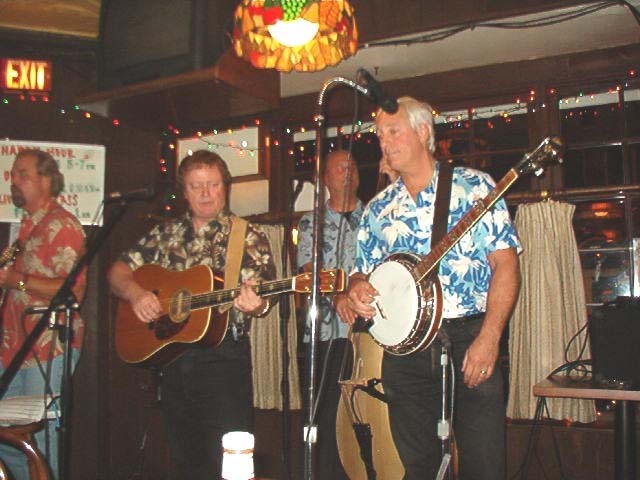 After departing from the The Hobbs Sisters and Bob Goff Jr. band, he had a short tenure with the Jimmy Bowman Band (Jim is pictured in the Don Reno song book with Don), followed by a few years with the Southern Sounds of Grass with bookings that included festivals around the Virginia, Maryland, West Virginia areas, and the old school house in Lucketts, Virginia. Pete formed a few groups in the Northern Va., area including South Fork Run and Southern Tradition that included Jr. Sisk (from Ramblers Choice, Wyatt Rice & Santa Cruz, and Blueridge) on guitar and singing lead. If you have a need for other genres, I am available to play Bass and sing harmony. Another interest/hobby of Pete's is the restoration of cars. 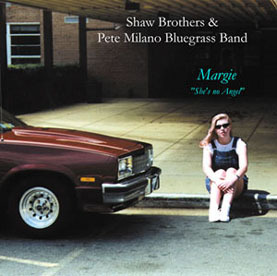 His latest project is a 1986 Chevy El Camino that is featured on the cover of the "Pete Milano & "Shaw Brothers CD. The truck was originally two tone, black over silver. After some 10+ years of driving enjoyment I have sold the El Camino (April 2009) to an EC owner and enthusiast who will be watching over my X pride and joy.